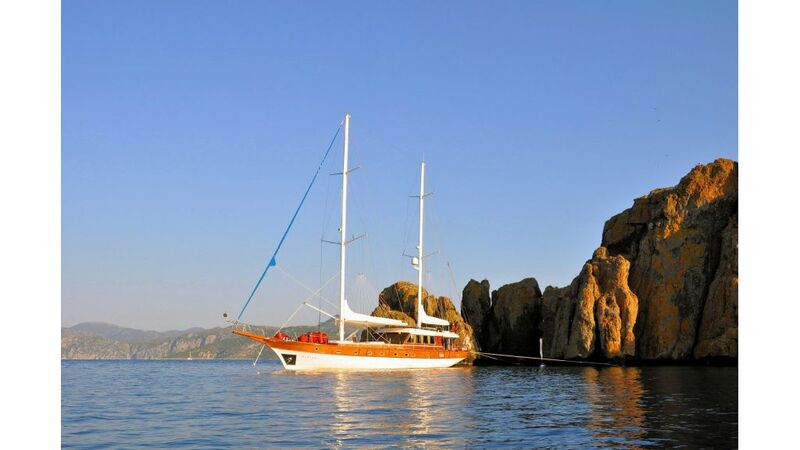 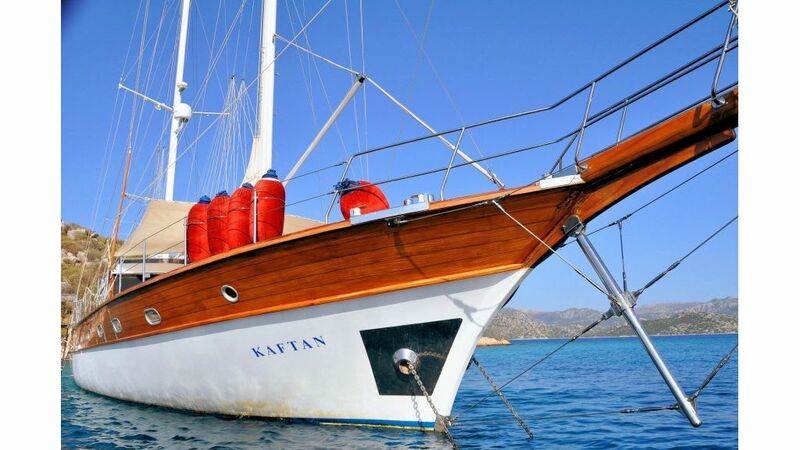 The 'Kaftan' is a luxurious and authentic gulet, built in 1998 and refitted extensively in 2008. 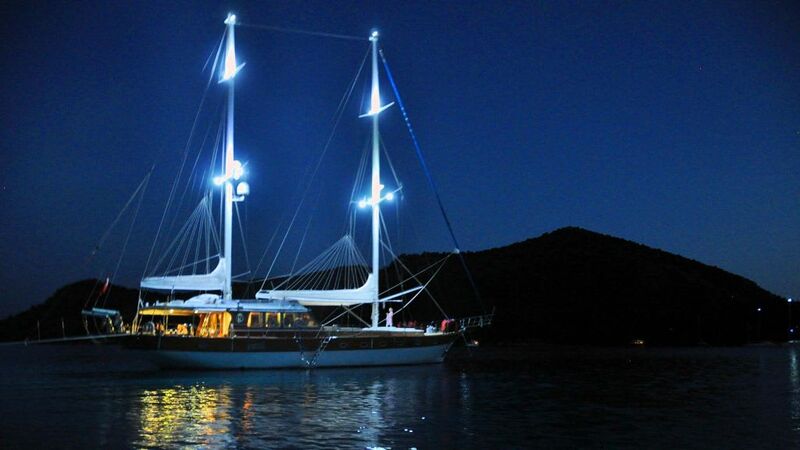 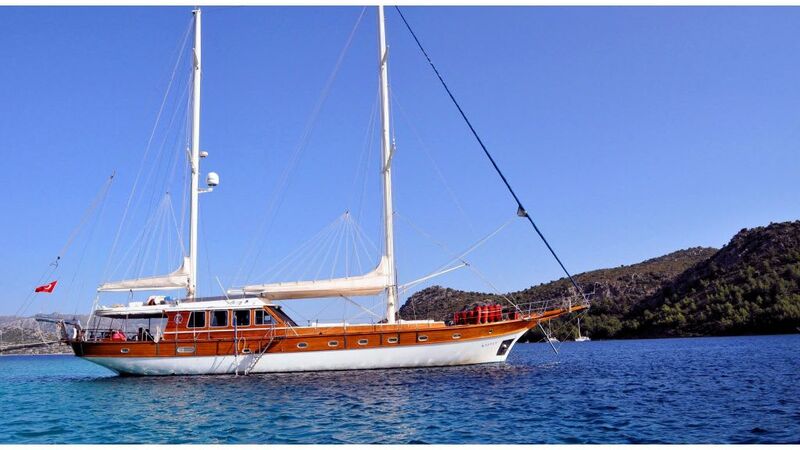 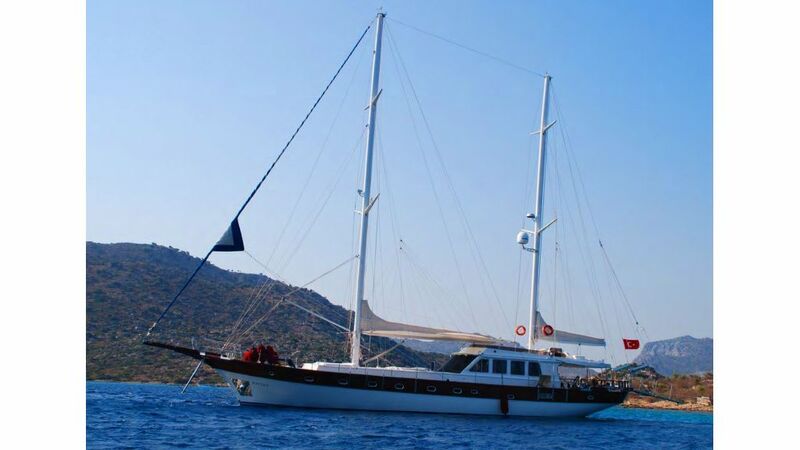 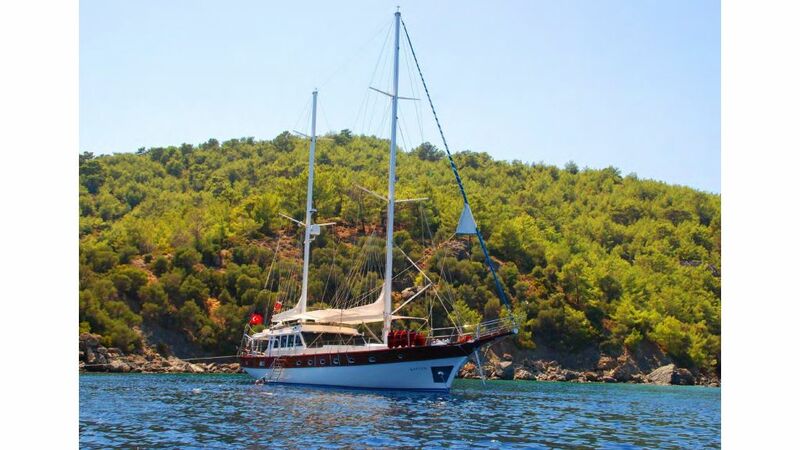 She is based in Gocek in the south-west of Turkey, and is available for week-long charters around the Turkish coast or among the Dodecanese or Cyclades. 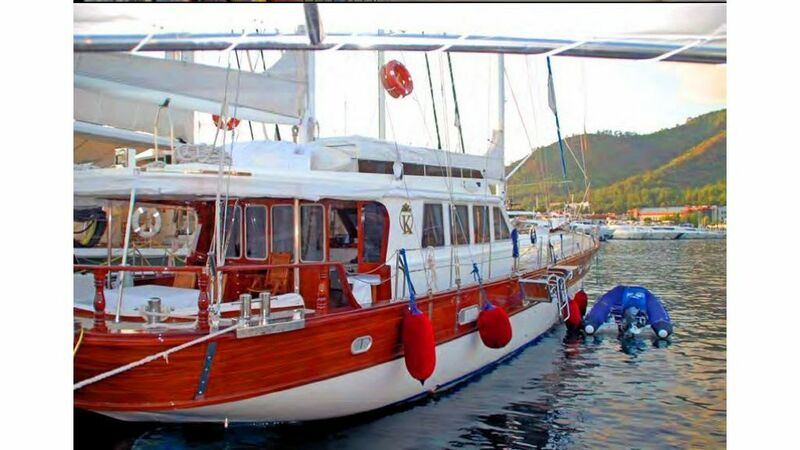 She comes with a dedicated and experienced crew of 4. 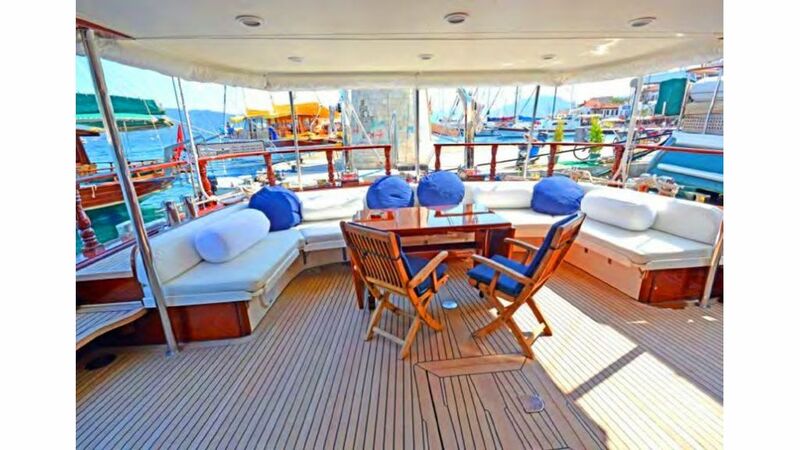 Prices for week-long charters start from €12,600 (£11,358 as of 04/09/2018) during May and October, €14,000 (£12,620) during June and September, and €16,100 (£14,513) during July and August. 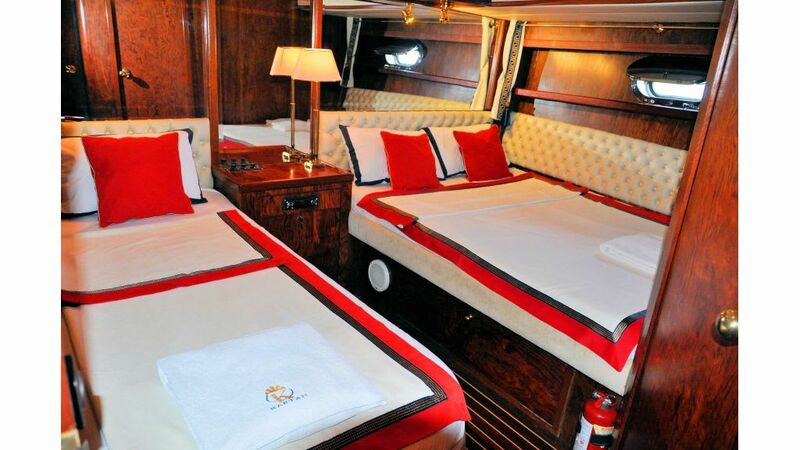 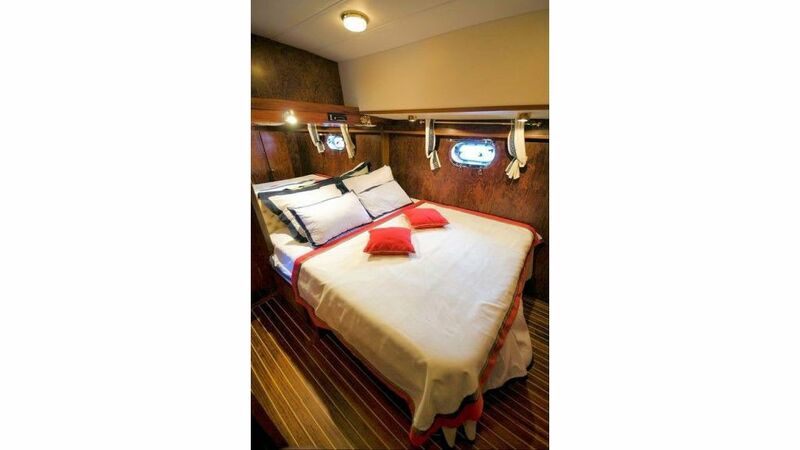 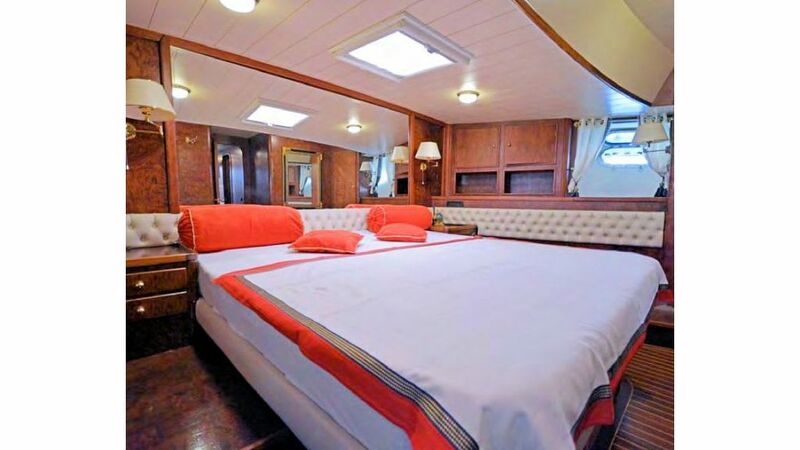 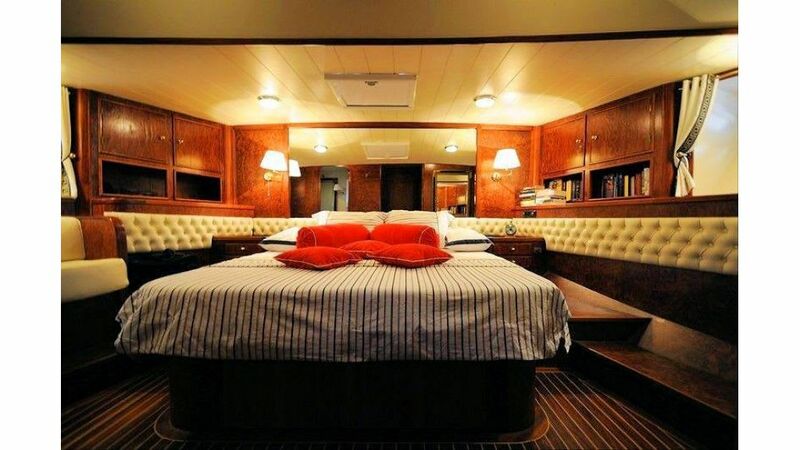 Sleeping arrangements consist of a master suite, a double cabin, a twin cabin, and a triple cabin (double berth and single berth). 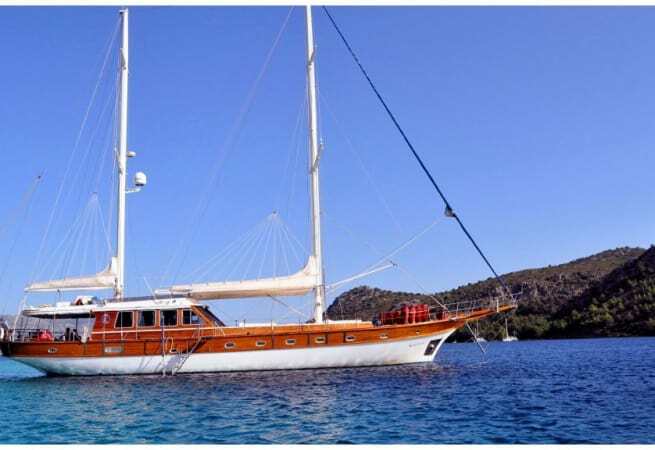 She comes with air conditioning, an onboard generator and a water maker. 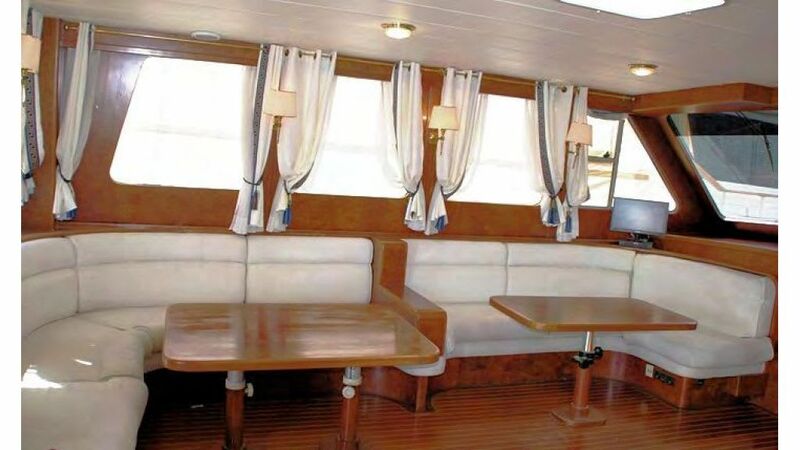 A computer, TV, DVD player, CD player and radio can be found in the saloon. 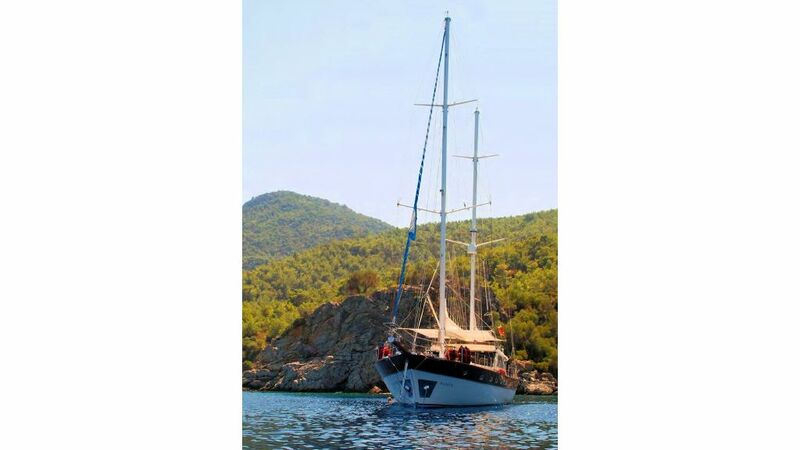 She can achieve a top speed of 12 knots under sail, and cruises comfortably at 10 knots. 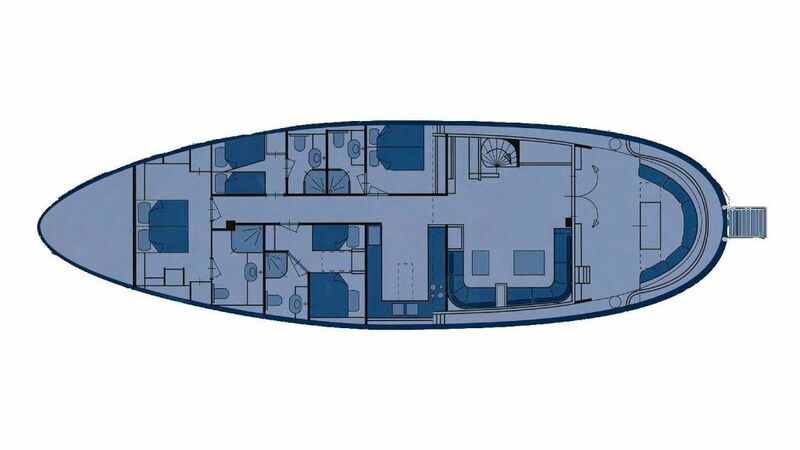 If the wind lets you down, you can rely upon her 535hp backup engine to ensure your charter remains uninterrupted. 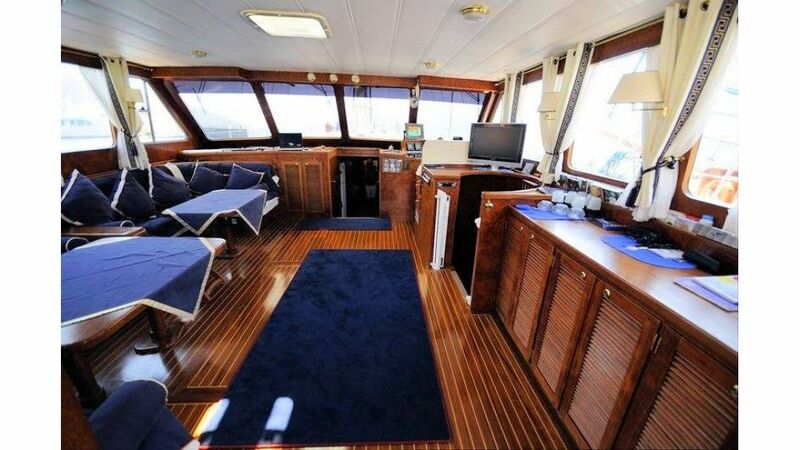 She comes with a 3.8m Joker Tender with 50hp outboard, as well as numerous water toys.